Ideally, we would love to fly our vehicles in to events in Hamilcar and Horsa gliders, but that just ain't gonna happen. So to move our vehicles, we have our own transport within the club. Currently we have an M923 5 Ton Cargo truck, and an M35A2C cargo truck, along with one heavy trailer, which will increase to two heavy trailers in the future. Having our own transport allows us to move anywhere within our own means, and using military 6 x 6 cargo trucks allows us to recover stuck and broken down vehicles under field conditions within our own means as well as transporting them. M923 5 Ton Cargo Truck. 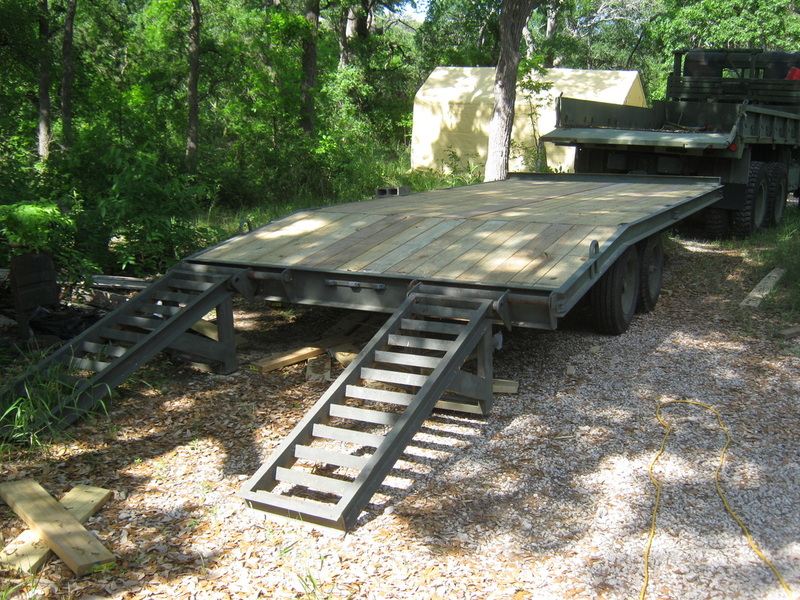 Capable of pulling the tank on a trailer and carrying one of the lighter armoured vehicles in the bed simultaneously. The M923 series of trucks were introduced in the 1980's, and our M923 is a veteran of Operation Desert Storm. The M923 trucks are still in active service with the US Armed Forces. M35A2C 2-1/2 Ton Cargo Truck. 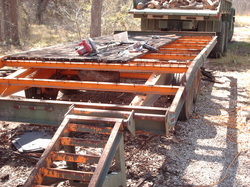 Capable of towing one of the lighter armoured vehicles on a trailer and carrying the Dingo or jeep in the bed simultaneously. 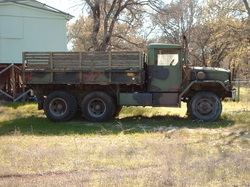 The M35 series of trucks are Vietnam era cargo trucks that were used up through Operation Desert Storm. 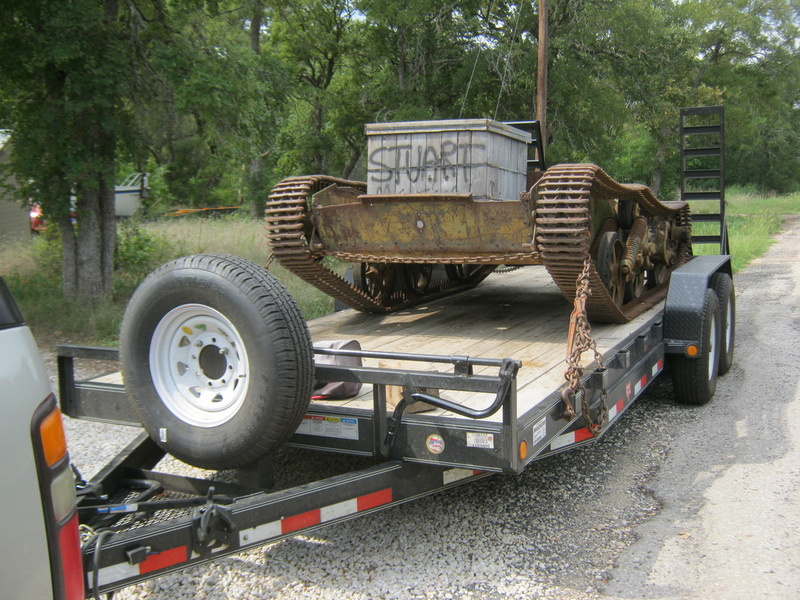 14,000 pound heavy equipment trailer. Capable of carrying any of our armoured vehicles including the Locust. Left: Having the old deck removed. Right: New deck complete, new paint, and ready for some new tires. Left: Suburban 2500 with 8.1 liter engine and special towing package, capable of towing 12,000 pounds at normal highway speeds, allows us to bring light armoured vehicles a long distance for a weekend. 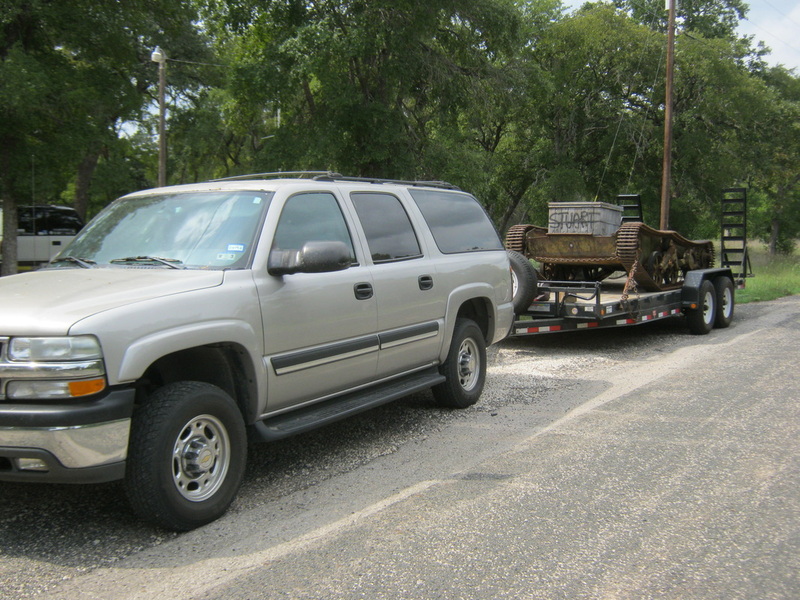 Right: 14,000 pound car hauler trailer, used with the suburban to the left to move any of our armoured vehicles except for the Locust.